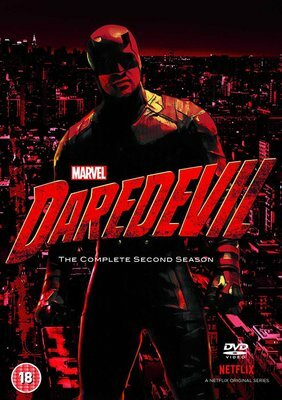 The razor-thin line between redemption and retribution explodes with a vengeance in Marvel's second season of Daredevil. With Wilson Fisk behind bars, Matt thinks his efforts to bring order to Hell’s Kitchen are succeeding—until chaos reignites with two new arrivals: Frank Castle (a.k.a. The Punisher), an anguished ex-soldier determined to visit bloody, irrevocable “justice” upon his adversaries, and Matt’s volatile old flame Elektra Natchios. Meanwhile, a lethal, relentless source of ancient evil continues to amass power. Now, as both the stakes and the body count rise, Matt faces a life-altering choice that forces him to confront what it truly means to be a hero.